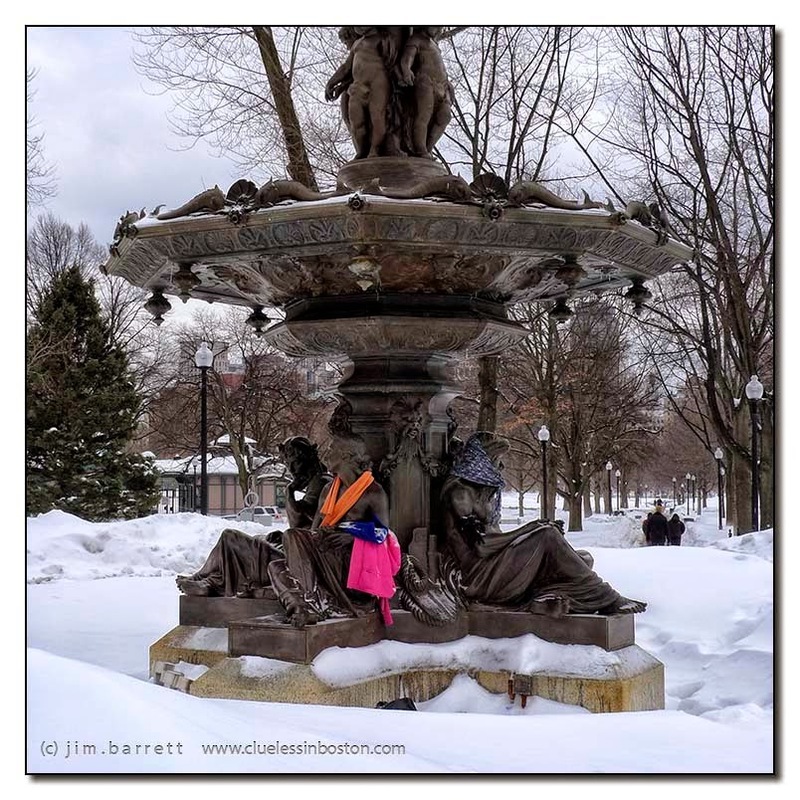 Even the Brewer Fountain statues are bundling up. Friday morning temperature is expected to be 2 degrees. Heheh, they don't have much to keep them warm otherwise. It is very kind of Bostonians to dress these poor statues.